Scrolls, vines, leafs and trees are what make rustic lamps stand out from other floor lamp styles. Rustic floor lamps and matching floor lamp stands are designed for country, cabin, mountain and lodge type of dwellings. Kalco and Hubbardton Forge make these types of rustic floor lamps, and they make Rustic Floor lamps and floor lamp stands hand made to order, for that rugged, back country feel. 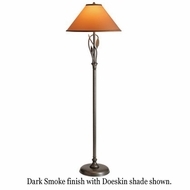 So get rustic, with rustic floor lamps and matching floor lamp stands. 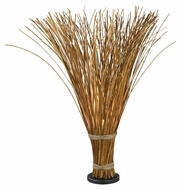 Buy the best rustic floor lamps and other rustic lamps to add an outdoorsy feel to any home. The high quality rustic floor lamps and other rustic lamps available for sale from Affordable Lamps are sure to spruce up any décor.